A day ahead of the 26th ASEAN Summit scheduled on April 26th and 27th in Kuala Lumpur, Malaysia, women activists and peacebuilders participants to the recently concluded ASEAN Civil Society Conference/ASEAN People’s Forum (ACSC/APF) 2015 today urged ASEAN member states to uphold women’s political participation in conflict/post-conflict situations as enshrined in the UN Security Council Resolution 1325 on Women, Peace and Security and General Recommendation number 30 of the Convention to Eliminate All Forms of Discrimination Against Women (CEDAW). 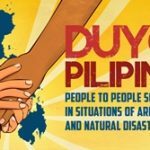 This year’s ACSC/APF, the largest gathering since its inception in 2005, and its theme “Advancing ASEAN People’s Solidarity Toward Sustainable Peace, Development, Justice and Democratization” have a special meaning not just for the peoples of ASEAN, but more importantly to the people of Burma/Myanmar. After years and decades of struggle for genuine peace and democracy, the ACSC/APF being held in Burma is a concrete expression of the mounting calls for and the deepening accomplishments of the struggle for more and wider spaces for freedom of expression and people’s participation, and ultimately, for sustainable peace, development, justice and democratization. This year’s International Women’s Day has a special meaning not only for the women across Southeast Asia, but most especially for the women of Burma who have long suffered from massive political exclusion and discrimination. They continue to be deprived of their participation in democracy building processes such as in peace and treaty negotiations, constitution building and so-called reform processes, and participation in important international/regional fora such as the Association of Southeast Asian Nations (ASEAN). Nineteen years after the launch of the Asia Pacific Coalition for East Timor (APCET) at the University of the Philippines, Timor Leste Prime Minister Xanana Gusmao will be in the same venue this Friday June 7, 2013 to address around 200 members of the academe and civil society to solicit support for his country’s bid for ASEAN membership.